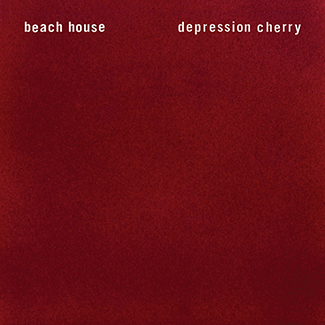 Beach House have announced full details of their new album, which is to be titled Depression Cherry. The duo, who consist of Victoria Legrand and Alex Scally, will release the album on August 28th. It is the band's fifth LP and the follow-up to 2012's Bloom, which you can preview on the right-hand side of the page. The album was recorded in Bogalusa, Louisiana with producer Chris Coady, who has worked with the likes of TV On The Radio, Yeah Yeah Yeahs and Future Islands. The band have also announced a short UK and Ireland tour for October. The tour begins on October 24th at Belfast Mandela Hall on October 24th and ends on October 30th at London Shepherd's Bush Empire, it also calls at venues in Dublin, Glasgow and Manchester. The run of shows is part of a full European tour, which also sees the band play Pitchfork Music Festival in Paris. Tickets for the tour will go onsale on Friday (May 29th) at 9.30am. You can buy tickets for the tour here.